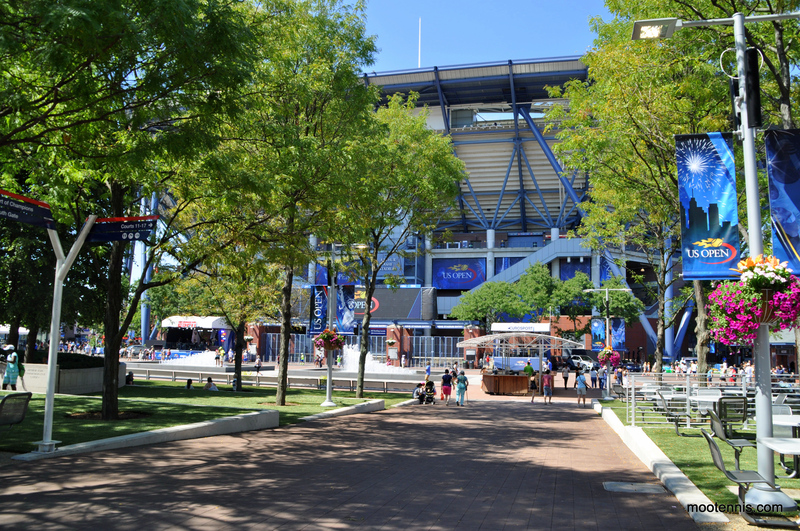 This is my first ever time at the US Open – it’s safe to say excitement levels were high as we entered the grounds with Arthur Ashe looming in the distance. 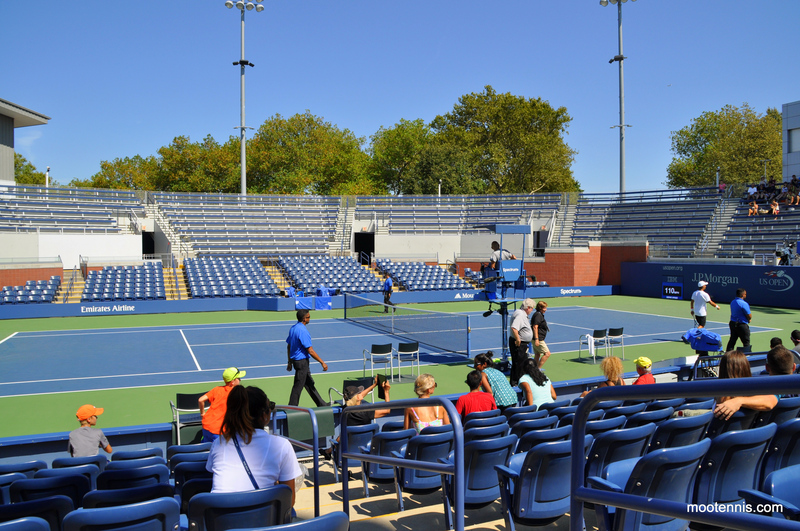 We also had a quick peek in Louis Armstrong Stadium where Ryan Harrison was on court. Andrea Petkovic and Eugenie Bouchard were practising on court 6 in sweltering conditions. I’m a lightweight when it comes to heat and I could only last five minutes in the sun before we headed for the shade! The pair were still playing when we returned a bit later in the afternoon. We meandered over to the new Grandstand court which is pretty awesome. I can’t wait to watch some live tennis on this court, particularly as there is one section that is in the shade! I am planning to start Monday with the first match up between Caroline Wozniacki and Taylor Townsend. On Sunday, Marin Cilic was practising with Ivan Dodig. Other players spotted on the outside courts included Kirsten Flipkens, Monica Niculescu and Danka Kovinic. Barely anyone was watching Monica… shame on everyone! Finally we headed over to the designated practice courts, of which there are five in a row. I’m going to do a comprehensive wrap-up piece when I get back about the US Open experience but I already love the access for the fans and it’s something that is missing at both Wimbledon and the French Open. The viewing platform allowed us to sit and watch the Bryan Brothers, Camila Giorgi and Juan Martin del Potro (woo for the Delpo who had a big crowd!) all at once. It was great to get a feel for the place ahead of Monday where we have a day ticket for Ashe. On early reflection, while the grounds may not have the same character of Wimbledon or Roland Garros, i’m loving how spacious they are and how many seats there are on some of the outside courts. I’m hoping to have a top 10 photos post for the next three days but we’ll have to see how that goes… it’s going to be a hectic few days :-). August 29, 2016 in ATP, Tournament Report, US Open, WTA.